WE PRIDE OURSELVES ON CARING FOR OUR CUSTOMERS BELONGING. 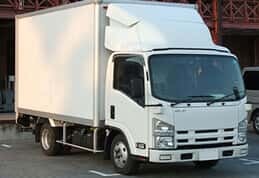 We can honestly recommend Christchurch Removals for reliable and efficient household moving services.We received a prompt reply to our request for a quotation, in person, by Steve Taylor, who was courteous and accommodating to our needs. The carriers arrived on time and were competent and careful with our furniture. Thank you for the excellent service you and your team provided in our recent move. You made our move almost completely stress-free. From start to finish you and your team were communicative, professional, reliable and responsible. You quoted us a fair and honest price and provided great value for money. 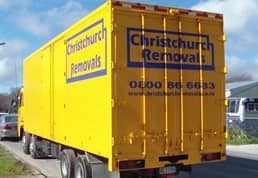 Hi Steve, Taylor Smith Transport/Christchurch Removals were great movers. They were fast and efficient, and have got the whole packing down to a fine art. They treated my belongings carefully and with respect. I’d happily recommend them to any one who was looking for a great moving company. 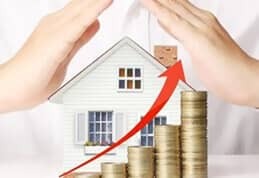 In fact my daughter used them to move her and was greatly impressed and not long after that recommended them to her neighbor and there they were – back at it a few weeks later doing another move. Their no nonsense attitude means the job is complete in the shortest possible time, hence saving you money!! And if budget is tight, they’re more than happy to have you help them with the job. This email is very overdue. I wanted to say how great Jason, Matt and Ben were when they moved us from 21 Pine Ave the other week. I hope I’ve got the names right (should have written this sooner before my memory failed!). It’s perhaps a weird thing to say – but they were very professional, in every aspect of their work. This may well be the norm (I’ve never moved house like this before) but it wasn’t my expectation and I was really impressed. They made it all very easy and were lovely to have around for a couple of days. We’ll be in touch again in about 8mths when we’re ready to go back! 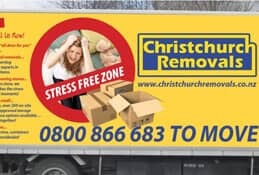 To The Manager, Christchurch Removals, I used your service today to shift contents from my mother’s house at Osbourne Rd Amberley and would just like to pass on how great your two men Mike and Dillon were today. It was a horrible wet day and they were very obliging and helpful in trying circumstances to help make the shift to 3 locations run very smoothly despite the weather. Nothing was a problem for them and they are to be commended for their cheerful attitude and just making it all so much easier. Please pass on my appreciation. On Feb 14th Mike, Corey and Luke packed up our furniture and moved it into our garage. We were very pleased with the great job they did – carefully wrapping many items and stacking things carefully. They were very pleasant in their manner, and cheerful in the face of many books to pack, a piano to shift and a waterbed to dismantle!! We also appreciated the help of Renee in the office, who was most efficient in her thinking and dealings when we had a hiccup with the dates and the confirmation at the last minute. Thanks also to Brandon who was easy to communicate with.We were pleased to have contacted Christchurch Removals early-on and have a pencilled-in booking made for us. People are always quick to complain about services/staff from other companies but never seem to take the time to praise the service or the staff that deserve it. Last week your company was contracted to pack my house and store the goods in the shipping container provided.I was fortunate to get Ken and Julian as my packers – and both these guys deserve heaps of praise.They were great – there wasn’t a thing that was a bother, they were amazing workers, friendly and would do anything I asked. Can’t speak highly enough about them and am hoping that I will get them back when it comes time to unpack my container.I’m hoping that you have them on a wage that will keep them there as people like these two make a company. On the basis of how these guys worked and the excellent job they did I would recommend your company to anyone. Looking forward to unpacking my container. 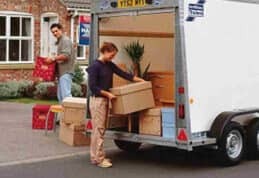 For household moves whether from one part of a city to another or whether from one town to another we take just as much care with your belongings.